While most three-line torches feature a triangular-shaped pipe pattern (or concentric tubes), Victor stacked the 400 series’ pipes vertically, which they say makes it easier to see what you’re doing since most folks look down upon the torch at an angle while welding or cutting. This seems like a small change, but in our experience, a millimeter or two of visibility can make all the difference — either the part you need to see is covered or it isn’t. So this sounds like a slick idea, and it’s an idea of our favorite type — the kind that don’t dramatically change the cost or functionality of the product beyond helping out a little. Finally, Victor re-tooled the 400’s grip. In fact, one might say that they created a grip for it, since most torches don’t seem to have a grip as much as a piece of brass that you can sorta hang on to. The 400’s grip is sculpted — by a firm Victor contracted with to complete an ergonomics study — to fit better in your hand during normal use, and it’s made of what Victor claims is a pretty durable zinc alloy. Supposedly the short 400 series is also very well balanced. Obviously we have some questions and concerns, like how durable the 400’s grip really is and whether the tool’s balance carries through when attached to a rig. But at least on paper, these changes sound positive to us. Other key specs: The 400 series works with acetylene, propylene, propane, and other fuels via swappable tips and attachments. It can handle gas flow rates for tips sized 000 through 6, and can both cut and weld (with the proper accessories). 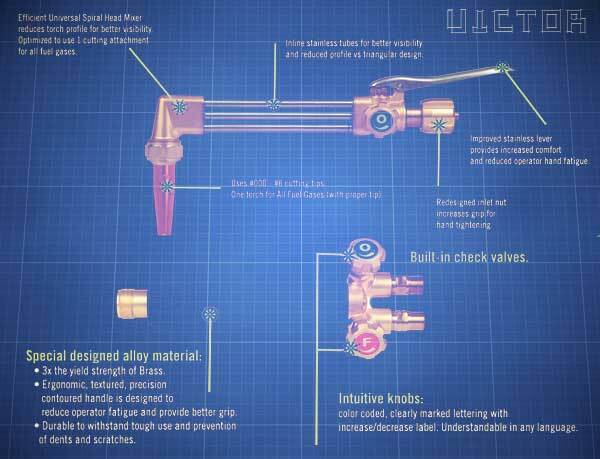 Price varies significantly based on component choice and purpose — Victor sells the torch alone, includes it with a variety of packaged rigs, and even sells some parts of the torch (like the handle) separately. But for comparison’s sake, MSRP for the medium-duty oxy-acetylene torch is $354. 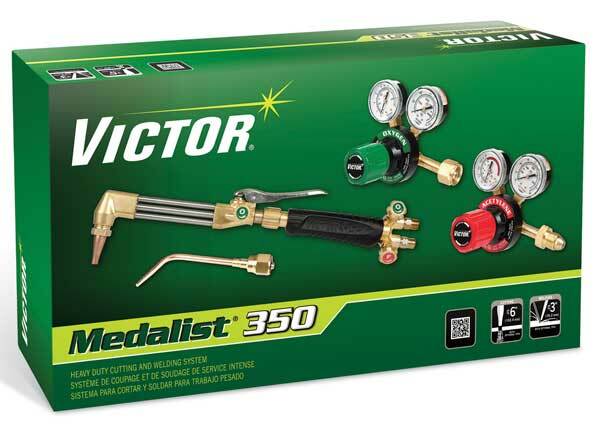 Though you’ll find a few scattered Victor items available online, you’ll likely need to visit your local welding distributor to find the new 400 series. Nice tool ! Excellent for cutting and joining . Especially the information about the grip was very interesting. Thanks ! Didn’t change price point ? Of kahhhhwz not. We love ahhhhz cuhhhhstomuhhhhs ! That P.O.S. is China crap.It’s a $50 torch at best.